When you know that you need a newer vehicle, yet you do not want to go the route of brand new, you need to make sure that you have a used car dealership that has the selection and reputation to offer a great experience. This is why so many people tend to look to Carson Cars when they want to shop through a selection of quality used Chevrolet cars for sale in Edmonds. Pricing, selection, reputation and award winning customer service are just a few things that you can count on when you drive onto the lot at Carson Cars. Do you already have a certain style in mind for a new to you Chevrolet? This is a vehicle brand that is well known for offering quality craftsmanship and affordability for buyers. When you make your way to Carson Cars, we will be happy to point you in the direction of some of the best Chevrolet vehicles that we have in stock so that you can pick what you like best and take for a test drive. All of the vehicle that are up for sale at Carson Cars have been through a tough inspection process to make sure that we are offering nothing but quality to all of our potential customers. Being in business for nearly 50 years, we have a long line of happy customers that will tell you that if it is quality that you want, you can always get it with Carson Cars. 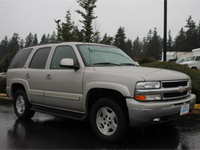 Buy your next vehicle with Carson Cars and shop used Chevrolet cars for sale in Edmonds. Call us (855)583-9356 today for selection and pricing information. We will be happy to set you up with a time for a test drive of a new to you Chevrolet.